A German singer is reportedly missing from a holiday cruise off the coast of Newfoundland and Labrador. Daniel Kueblboeck, 33, a contestant in 2003 on Germany Seeks the Superstar — the German version of talent search show Pop Idol — has gone overboard from the ship, which was travelling from Hamburg to New York, according to Aida Cruises. Kueblboeck released four successful singles and an album, as well as appearing in other reality TV shows. The German news agency DPA and Bild newspaper have reported that the coast guard is searching for Kueblboeck. Kueblboeck was on the AidaLuna, which was due into St. John's on Sunday afternoon. 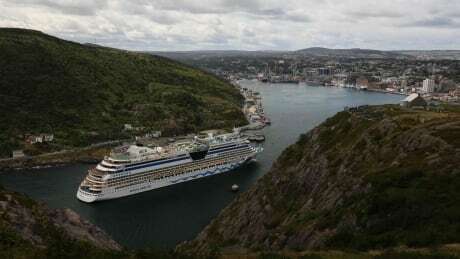 The ship sent an alert to the Canadian Coast Guard around 6 a.m. Another cruise ship that was due in port Sunday has reportedly turned back to assist the AidaLuna. Aida Cruises confirmed via Twitter late Sunday morning that a person jumped overboard early Sunday. Ship staff carried out a cabin check and confirmed that the missing person was Kueblboeck. "The ship was stopped as a precaution and returned to the place" where Kueblboeck went overboard, the company tweeted.